Have you seen the movie How To Train Your Dragon? Toothless is the name of Hiccup’s Dragon, Toothless is classified as a Night Fury dragon, which is considered to be one of the most mysterious and fearsome types of Dragons that exist. Until Hiccup discovered Toothless, no one had ever known what a Night Fury even looked like. If you haven’t seen the movie or read the book please add it to your to do list! 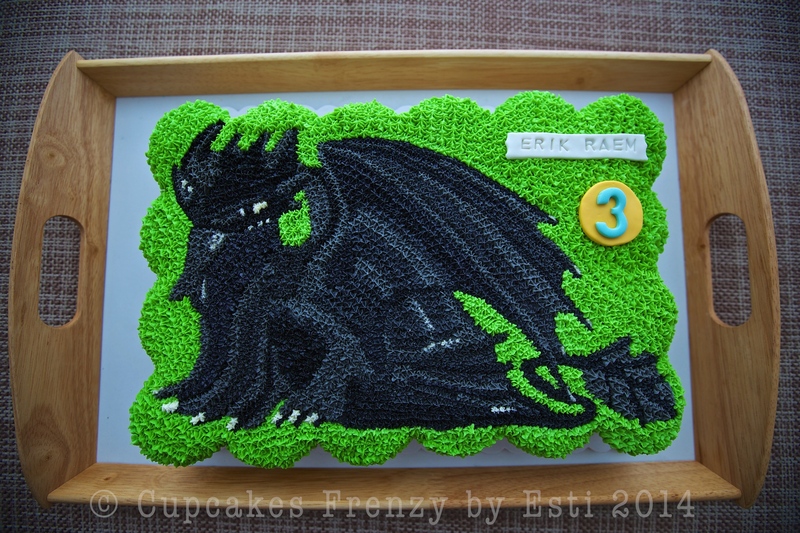 Jenny’s order for her son birthday celebration, vanilla pull apart cupcakes cake with freestyle hand drawing Toothless theme, definitely my favourite project of the week. 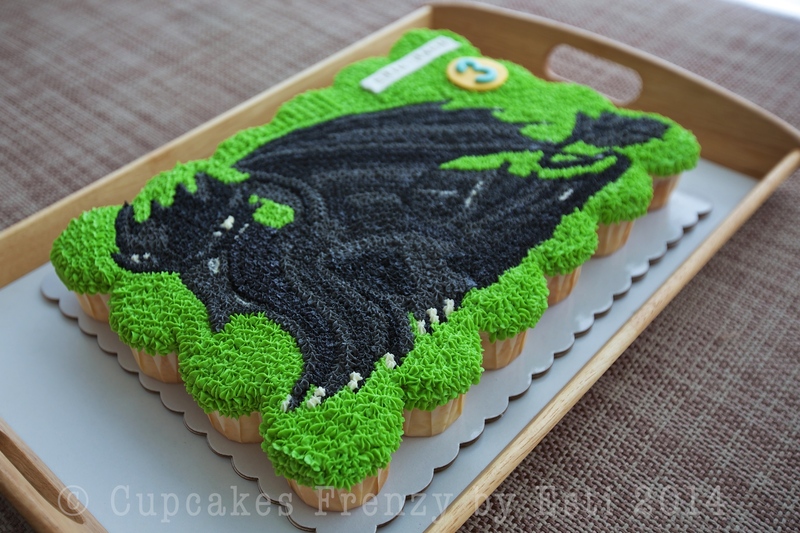 This entry was posted in birthday, celebration, Cupcakes, favorite, note from the baker and tagged 3rd birthday, baked from scratch, birthday celebration, dragon cupcake, edible art, Gift Ideas, Manila, night fury cupcake, pull apart cupcakes cake, toothless cupcake. Bookmark the permalink.